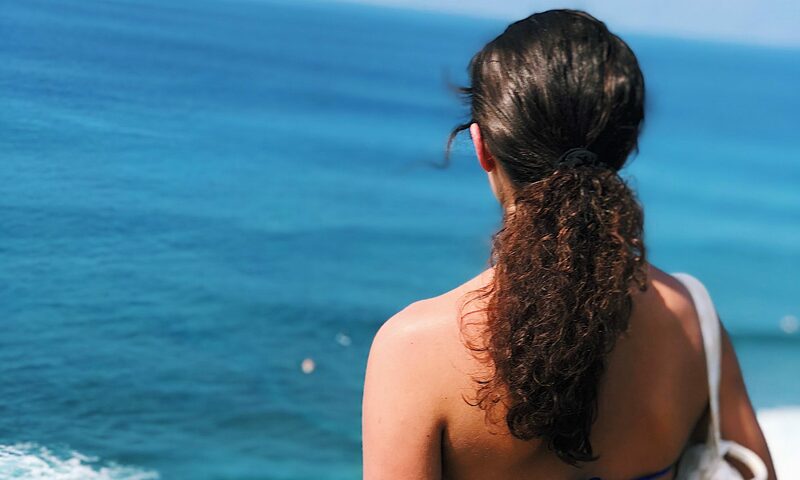 In late January of this year, I hopped on a flight from Phoenix to Maui because I was healing a broken heart, I’d always wanted to visit, and I found a round-trip ticket in the mid $300’s. I was lucky enough to have a friend of many years who was down to book a flight from Michigan to meet me there. We had an insane amount of fun and tried to soak up as much of the island life as we could. After a few days in, I was amazed at how comfortable I felt. Me and my gorgeous adventure buddy, Courtney, in Paia. I’d been to charming cities in Europe, I’d vacationed on breathtaking islands with my family, and I was no stranger to being captivated by a new place. But Maui felt different. Of course, I was in awe of the beauty around every turn, but it wasn’t infatuation. I was falling in love with the island, but even more than that- I was falling in love with the person it brought out of me. My laughter felt lighter and sounded more child-like. My smile appeared more often, and felt more genuine. My joy was mine for the first time in a long time. My happiness stemmed from myself. I no longer felt that I had to borrow joy from others because it was finally blossoming inside of me again. The overwhelming joy of visiting Ho’okipa for the first time and seeing so many sea turtles that I cried real tears. I felt an intimate closeness with God each time I splashed in the ocean, and felt our bond strengthen each time I stumbled upon a new slice of his creation. One of my all-time favorite sunsets at Honolua Bay. Also, on my first visit I met someone who instantly changed my life, and I’m so stoked that God helped us find each other. I returned to the mainland and prayed for a sign that I was meant to go back. The next morning I recieved an email alert for round trip flights in the low $300’s to various Hawaiian Islands. I booked a 3 week return trip that very moment, in class, while I still had an outrageous credit card bill to pay off, no plans, and no idea why I felt so compelled to book another trip when I had returned to Arizona less than 24 hours prior. I was scared shitless when – somewhere in the planning of round 2 – I realized I had to move to an island away from all of my family and my longest friends. I knew how crazy I sounded from an outside perspective, but I knew how my body electrified the moment I caught my first glimpse of the island from the airplane. My second visit solidified that the euphoric experiences I had the first time around were real, and that I was meant to be a part of this place. I spent the first week with three of my gal pals in total vacation mode, and my remaining days with my boyfriend, trying to figure out how to make life work here. Elizabeth, Mackie, Kelli and me being dorks in Paia. Me and Kurt enjoying the sunset together after a surf. I’m so happy to say that through long talks with God, endless prayer, and a whole lot of faith, I am home. Follow your heart, even when it’s telling you crazy things. Especially when other people are telling you that your heart is telling you crazy things. Trust in God, or in the Universe, or in the energy you feel in your soul. Do the insane thing that you can’t stop babbling about. Find where your joy stems from, and follow it until the end. You won’t regret it. Previous PostPrevious Hostels: de-bunking myths, and why you should stay in one!